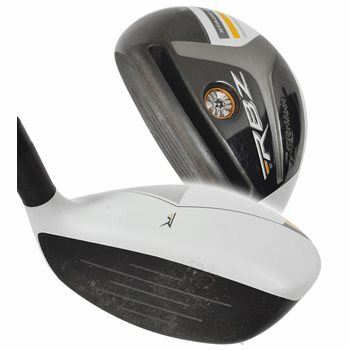 The TaylorMade RocketBallz RBZ Stage 2 Tour Rescue TP features a new ultra-high strength RocketSteel material which creates a thinner and faster flexing face. The improved speed pocket design allows for faster flexing to promote faster ball speed and more distance. The lower and more forward CG promotes faster ball speed, high launch and low spin. TaylorMade Loft-Sleeve technology offers 7 standard and 5 upright loft options to add ±1.5° to the standard loft. The TP version is the same head as the standard version but with upgraded shaft options.